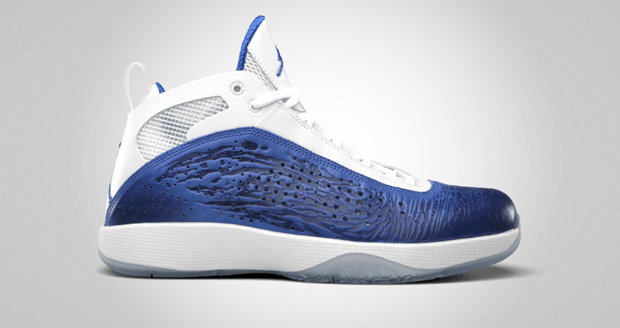 After the initial release of the Air Jordan 2011 in the white/black colour-up, comes this white/varsity royal version that carries on the simple contemporary feel of the first release. 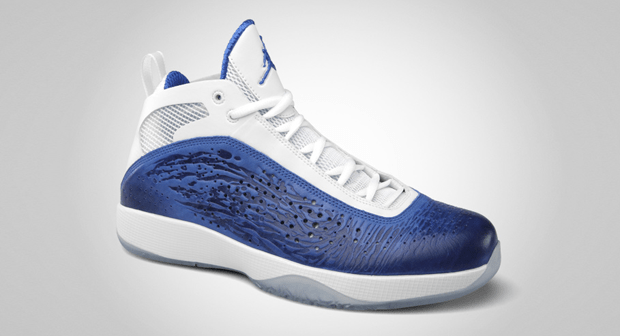 The varsity blue flows really well with the white and iced outsole, with hits on the tongue and jumpman accenting the shape in a very subtle way. Similar the white/black release, it’s a shoe that will look just as good off the court as well on with hand crafted Patina leather and a straight forward colour palette that doesn’t shout out too much. This shoe isn’t just beautiful, it has brains to go with it too… The interchangeable midsoles are one of the most important factors about this shoe and those looking to ball in these will benefit from the choice of either Zoom (Quick) or Air (Explosive) midsoles, both providing the right support for different styles of play. Available from House Of Hoops London now.